Lack of adequate sleep can make us cranky and decrease our energy levels. And chronic sleeplessness puts an overwhelming amount of stress on the body. When researchers restricted people with type 1 diabetes to just four hours of sleep, their sensitivity to insulin was reduced by 20% compared to those that enjoyed a full night of sleep. Irregular sleep patterns are also associated with depression and stress. Researchers narrowed these fields down to ethnicity as well. African-American participants were found to have the most sporadic sleep schedules compared to test subjects who were White, Chinese or Hispanic. 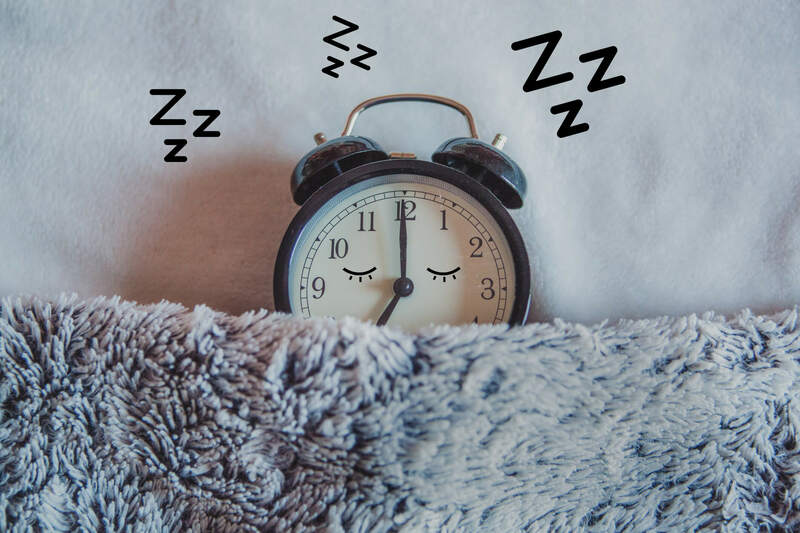 However, the study was inconclusive when it came to determining whether sleep irregularity results in health risks, or whether various health conditions affect sleep, according to Jessica Lunsford-Avery, Ph.D., the study's lead author. "Perhaps all of these things are impacting each other," she said. The Duke Health study also tracked specific sleep times. Were subjects going to bed early, or were they night owls? Participants with known hypertension tended to sleep longer hours, while those who were obese were accustomed to staying up later. “As one might expect, irregular sleepers experienced more sleepiness during the day and were less active—perhaps because they were tired,” Lunsford-Avery said. The same was found in children. Parents were given the task of recording the sleep diaries of their kids over the course of seven days, and also included food diaries. They tracked how many total hours of rest their children were getting, if they slept through the night, if they experienced sleeplessness or suffered from sleep issues. One Danish study found that the children who got the least amount of nighttime sleep, on average, were more likely to become overweight during the following 1.3 years. Clearly, there is credible evidence that acclimating into a more consistent sleep routine is associated with good health. The following tips for getting adequate snooze time may offer some help if you have difficulty with a good sleep routine. Establish a regular bedtime routine. According to Stephanie Silberman, Ph.D, a clinical psychologist, changing your bedtime routine doesn’t happen overnight. The most effective tactic is to make small changes in a gradual manner to help your body regulate to the new sleep schedule. If you’re trying to go to sleep at 9:00pm, rather than 11:00pm, for example, try this: For the first three or four nights, go to bed at 10:45pm, and then go to bed at 10:30pm for the next few days. By working in 15-minute increments, your body will have an easier time adjusting. Incorporate a period of exercise into each day. Multiple studies have shown that as little as 10 minutes of exercise daily could greatly help with regulating sleep patterns and help you get a more restful night’s sleep. What’s more, those that adhere to a steady exercise routine may reduce their risk for developing troublesome sleep disorders, such as sleep apnea and restless leg syndrome. Utilize houseplants which contribute to a more oxygen-rich environment. Common houseplants are known to naturally rid the air of odors, molds and improve poor air quality. The better the air quality, the better sleep you’re likely to get. Actually, NASA did a whole study surrounding the impact that plants can have on the air around us. Some houseplants to be on the lookout for are jasmine, lavender, snake plant and the spider plant. The NASA study shows that spider plants removed around 90% of the potentially cancer-causing chemical formaldehyde from the air. Certain nutrient-rich foods can really help you clock those extra hours of sleep. Kiwi. According to various studies, kiwis may be one of the best foods to eat before bed. Over a 4 week study, 24 adults consumed two kiwifruits one hour before going to bed each night. At the end of the study, participants fell asleep 42% more quickly. Another study revealed that eating kiwis before bedtime may help people who have trouble sleeping or have actual sleep disorders. The National Institutes of Health (NIH) examined males and females between the ages of 20 to 55. The subjects consumed two kiwis one hour before bedtime for four weeks. The results revealed the subjects fell asleep quicker, had longer sleep durations and had better quality sleep. “Numerous studies have revealed that kiwifruit contains many medicinally useful compounds, among which antioxidants and serotonin may be beneficial in the treatment of the sleep disorders,” reports the NIH. Cherries. Few things are natural sources of melatonin, and cherries are one of them. It is considered the ‘sleep hormone’. Melatonin is said to help with sleep disorders and insomnia. Cherries are also packed with nutrients such as iron, potassium, vitamins C & A. Cherry juice is a great way to reap the benefits without having to eat a bowl of cherries. Bananas. Bananas seem to have everything you need contained in one peelable food. Not only do bananas have a healthy dose of magnesium, but they also contain tryptophan AND melatonin. Tryptophan is an essential amino acid and is one of the building blocks in protein biosynthesis. Proteins are required to sustain life. Humans are unable to produce their own tryptophan so they need to obtain it through their diet. Opt for an all natural melatonin smoothie with unsweetened almond milk, cherries and a banana to help lull you to sleep. Bottom line, no harm can be done by getting a good night’s sleep. Perhaps you should try these options identified here before using drugs like sedatives and opioids to help you sleep. Finally, I also suggest getting a nutritional test. Nutrient testing will generally identify whether you have the right balance of nutrients in your system to help you sleep and live a balanced and healthy life.